What are the different types of Card Machines that can be used to accept credit cards? The countertop card machine meets the highest security requirements and is PCI PTS 3.x certified with SRED and open protocol modules. The optional PIN privacy shield provides additional PIN entry confidentiality. Businesses can rest in the knowledge that the iCT 250 card machine accepts all electronic payment methods. The countertop card machine is robust and designed for busy settings such as retail or hospitality settings. The iWL251 credit card terminal is perfect for businesses who are starting to accept credit cards with its mobile connectivity. With a built-in SIM card, the mobile card machine is perfect for companies with no fixed address or those who operate an on the go focus. The Ingenico iWL 251 meets the highest security requirements and is PCI-PTS x and 3.x certified with SRED & open protocol modules. Ingenico’s Wi-Fi solution is the iWL 258 model and is ideal for businesses who are starting to accept credit cards with its Wi-Fi capabilities. The handset was introduced to the market place a couple of years ago. The iWL handset accepts all major debit and credit cards and is specifically designed to work anywhere there is a SSID Wi-Fi connection. This model provides businesses with an extended battery life with a sleek compact-sized design and features a wide backlit keypad for outstanding display readability inside or outdoors. The iWL252 is Ingenico’s portable handset and is extremely popular for businesses who are starting to accept credit cards and trading from a hospitality setting or where a “pay at the table service” is required. The handset provides business owners a unique way to increase profitability. The iWL252 is accredited to work with all acquiring banks. The card machine has a Processor ARM 9 & ARM 7 and is PCI PTS 2.x & 3.x certified. What are the basics of credit card payments? One reason many owners opt to not to take card payments is through a lack of knowledge and not having a full understanding on how accepting card payments work, however if you find a reputable supplier who explains things logically and honestly then you will have a clear understanding in no time. The first hurdle a business owner needs to tackle is understanding card processing and there can be quite a lot to digest! Let’s kick off with a one of the most frequently asked questions. A merchant account is part of a merchant service. In essence, this is a category specifically relating to the payment industry which consists of financial services to help businesses accept and process payments. A merchant account is different to the traditional business bank account and allows businesses to receive money from debit and credit card payments. The popularity in the UK has surged in the decade. Most source their merchant accounts from “Acquiring Banks,” but they can also be sourced from ISO, independent suppliers or resellers. What is the application process to accepting cards? Once you’ve decided which company you are going to proceed with, you’ll need to complete and submit a short application form. This generally relates to the legal information within the company and the directors within the establishment. The application is then submitted and providing the application has been successful, in most cases you should have the merchant account generated within 3-5 working days. Once the account has been approved you will be provided with your own unique MID – merchant identification. However, be aware that your wait time will be delayed if the merchant acquiring bank does not receive the correct documentation, or if your business is judged as high risk. In the past accepting accept card payments was frequently an arduous ordeal as there wasn’t always the availability in payment devices, now you can accept credit card payments with the latest payment technology on flexible payment terms and best of all the equipment is trouble-free to use. If you want to start accepting credit cards will you need to know how the technology works? The advances in technology now make it very easy for customers to pay with their debit or credit card. If you are face to face you can opt for the traditional Chip & PIN payment which is speedy or if your payment is under £30 the customer can “pay & wave” with contactless technology. If the customer isn’t present, you can opt for the mail order option which is refreshingly simple. I’m sure most of us have paid for goods with something over the phone, in that instance the customer may need to provide additional card information such as post code numerics and house numbers to where the card is registered to. If you are about to start accepting credit cards then logistically everything is a lot simpler than it used to be. Are there benefits to your business if you start accepting credit cards? There are a whole plethora of reasons why opting to start accepting credit cards could be great for business owners. If you choose to start accepting credit cards it can significantly help grow and enhance your business in multiple ways. The amount of businesses that have started accepting credit cards has grown considerably in recent years. Here are just a few examples of how they can help a business owner. More and more high street banks are closing, and in some places cash points are getting readily harder to locate, this can result in the customer taking their business elsewhere. Does accepting credit cards lead to an opportunity for increased sales? If your business is about to enter the world of card payments, taking the step to move from cash to cards will extensively revolutionise and expand your potential customer base. It goes without saying but the more customers you have, the more sales you make. Extensive research in this field has shown that business that start accepting credit cards typically see an increase in business revenue by 20% or more. Does accepting credit cards save your business time? If you choose to start accepting credit cards you will be handling less cash which should ultimately mean less cashing up and less trips to the local bank for paying in. It will allow more time to be focused in-house. If you introduce a card machine there is no need to count out money, and the end of day banking on a handset typically takes less than 30 seconds. Accepting card payments is much faster than taking traditional cash payments or accepting dated cheque. With a card machine, your customer simply enters their PIN number or pays using the pay and and wave contactless technology which means there is no need to count out change thus eliminating potential errors. If I start accepting credit cards will it increase my business’s credibility? If you walk into an environment where debit and credit card payments are accepted, it straight away builds a trust element. It is also a good way to entice potential custom from individuals who only have a set amount of cash on them. Seeing the sign “card payments accepted here” can also encourage spontaneous purchases. It is always important to secure logos of the cards you do accept i.e. Visa, MasterCard, Amex and so forth, this again builds trust and assurance and can transform the way people shop with you. Has accepting credit cards become a pivotal aspect to the success of online businesses? If you are setting off in the world of e-commerce then it is important to be aware that majority of transactions made online are predominately used with credit and debit cards. It is not only important to ensure you accept payments face to face but to start accepting credit cards online. When a business starts accepting credit cards they will know how much the transaction will cost to process with the acquirer thus meaning the business can strategically plan ahead for the future. If your business is looking to start accepting credit cards it is both painstakingly simple and cost effective for businesses big and small. Choosing a reputable supplier should make the process refreshingly easy and most companies should have you set up with a merchant account in a few days. We always advise customers who are looking to start accepting credit cards to do a back ground check. Read reviews about the supplier, what are the customers saying and are they delivering the correct service that tally’s in with your requirement. It goes without saying but it is paramount that the business owner understands and makes sense of all the charges before committing to any agreement. If you are unsure ask……… always read the small print and speak with people you can trust on the matter to gauge their thoughts. Most providers who offer businesses the ability to start accepting cards will provide a basic quote for debit and credit cards and it is predominantly a fixed fee the business will charged each time a transaction is made. This isn’t the sole aspect of a merchant account, you have other fees and charges which will be discussed in this guide. Some companies you speak with will give you fixed rates but most should provide a bespoke quote based on varying factors including the type of business you operate, how much you turnover, average transaction value per sale and where you trade from. It goes without saying but by in large, the more you turnover on cards, the less you should pay on your merchant fees. If I want to start accepting credit cards how can I be sure if my business would be deemed high risk? First of all we need to look at what is constitutes “high risk” by the banks. There are three aspects to this. The bank, who ultimately approve or decline the businesses application, will look at whether you are selling a high risk product in a high risk industry. This can range from casinos, pyramid selling, adult services or travel agents or a ticket agency. An example where customers pay well in advance for goods is a music concert or a holiday. The bank processing the application will also look at the way you process payments, i.e. are they face to face or are they primarily done via MOTO (mail order telephone order)? The final aspect can be an individual or businesses bad credit record. Credit records will show extensive details of borrowing history and repayments whist detailing any defaults on an account or any missed payments and also county court judgements or bankruptcies. Every application is taken on its own merit so don’t get discouraged. Are there joining fees to start accepting credit cards? In layman’s terms yes and no. This is all dependent on who you opt to sign with, the agreement terms you adhere to, and other deciding factors. The market is now densely saturated with acquirers vying for your business and many now waive their joining fees to get a customer over the line. It is always worth asking and checking when you make an enquiry and get any correspondence in writing. In terms of other fees on the account, an individual or business must consider the cost of ownership/ total fees paid. Put simply this means the individual concerned must factor in all potential costs including any joining fees/admin fees/ongoing costs to maintain the account/early termination fees. Some providers or acquirers will entice potential customers in with lucrative incentives but always remain vigilant and don’t lose sight of the bigger picture. A good question to ask if you are considering to start accepting credit cards is what is a rough calculation for the upkeep of the account less any transaction charges. This should provide you with a bit more clarity. Which acquirers can help me to start accepting credit cards? Now I’m able to accept credit cards what hardware do I need? This is all dependent on the type of business and setting the individual(s) trade from. There are four main types of card machine. These include countertop, mobile, Wi-Fi and portable. If you deal with lots of customers and want to start accepting credit cards you will also need to factor in what type of card machine will best meet the needs of your business. 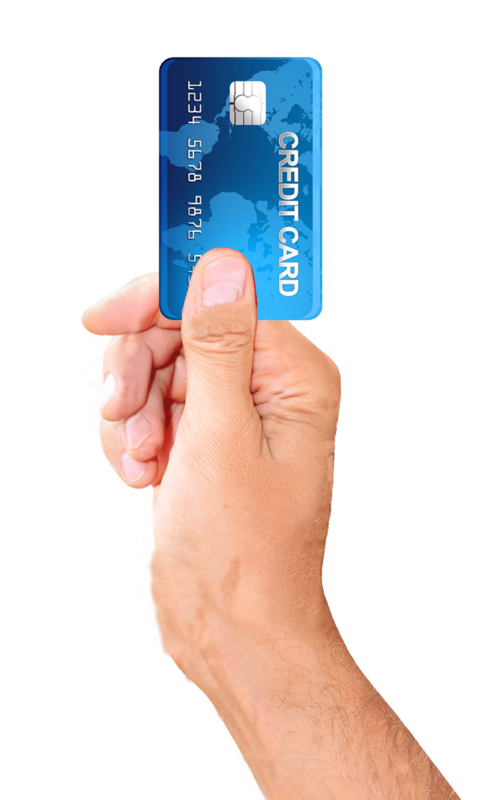 Depending on which type of supplier you opt to go with you have a couple of options: do you want to rent the card machine on a short term option, do you want to commit to a longer term lease where you pay one fixed fee on a monthly basis or do you want to purchase the card machine outright? 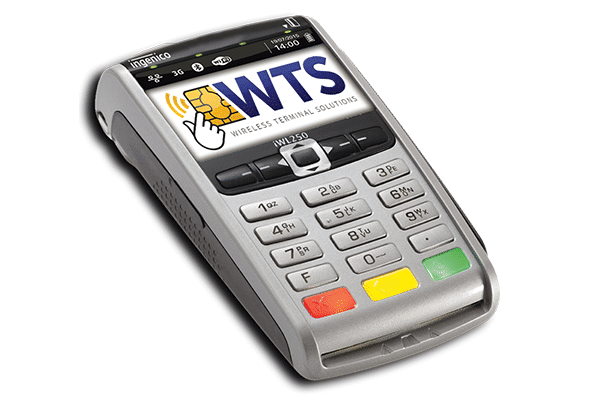 Wireless Terminal Solutions are a payment specialist and excel in supplying card machines. We only supply Ingenico card machines and are an official reseller to one of the UK’s biggest manufacturers. If you’ve ever paid by card in a retail shop or restaurant, there is a very good chance you would have paid using an Ingenico card machine. They are extremely easy to use, robust and ascetically appealing. Customers ultimately expect the option to pay with a card when shopping nowadays. How does a card machine rental work? Renting a card machine is incredibly simple. It is the perfect way for a business accept and process card payments without having to deal with large quantities of money. A business will need to decide if they want to rent a card machine on a long term or short term basis and source a reliable supplier. How can I get a merchant account? To increase your eligibility for a merchant account the following will significantly improve the chances of being successful in your application. Do you need a merchant account for card payments? Regardless of what type of business you are and how you sell your goods an business will need a merchant account in order to accept card payments. The most common way for this is to use a business who work with a merchant provider and can manage your application. A merchant account is a type of bank account that will empower a business to accept cad payments from their customers predominately via debit or credit cards. Payments are linked to an account and then settled in a business account. In short, it is a payment processing gateway that will allow your business to get paid. You can set up through this up through an independent supplier, bank or other financial institution. How do I get setup to accept card payments? You will need to set up a merchant account which is a payment processing gateway that will allow your business to get paid. To accept card payments a business will need three things, a merchant account, a bank account that is linked to the account and a way to process payments which usually comes in the form of hardware. The above information is merely a guide and not to be taken on face value. We’ve tried to ensure the information stated is accurate and have relinquished any preferential treatment to any third parties, suppliers or banks. As stated in the title it is a guide, nothing more, nothing less and we always recommend companies who are considering accepting credit cards to speak with providers and to undertake their own diligent research before making a decision which is right for them. If you need reduce monthly running costs, or you have a set budget a long term rental may be the best solution. The terminal purchase option allows companies to eliminate monthly running costs by purchasing credit card terminals out right. Take advantage of savings with our refurbished range of Chip and Pin POS equipment. All equipment has been fully restored back to their original factory settings.